If you’re thinking of updating the colour of your motor this new year or are simply looking for a respray to refresh the look of your car, we, at Auto Medics, are here to ensure you take these considerations into account before proceeding with a paint job. 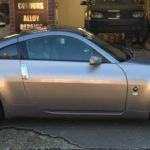 Before considering a respray for your vehicle, it’s vital to ensure that any chips, dents or scratches are repaired as a respray should only be done when the surface of the car is totally flat and smooth. Choosing to have your car resprayed is a big decision, unless you have the relevant training, equipment and work space, you should only enlist a professional to respray your car. Professionals will ensure an immaculate finish due to the skill and efficiency that comes with experience; not only that but they will ensure necessary health and safety considerations are taken, ensuring responsible paint use and disposal. Don’t be tempted to do the job cheaply, after all you get what you pay for. We advise asking around for recommendations and then requesting a range of quotes, following up with a visit to the premises that you’ve decided upon to ensure they are a professional set-up. For examples of the work we do here at Auto Medics, check out the images we upload of our completed jobs to our Facebook page. 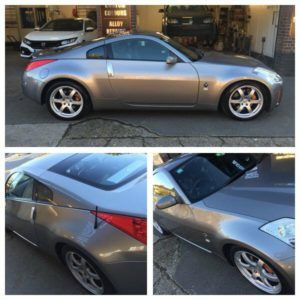 At Auto Medics, our reputation proceeds us, we are equipped to repair any chips, dents and scratches prior to respraying your vehicle. For more information get in touch with us on 01494 533534.